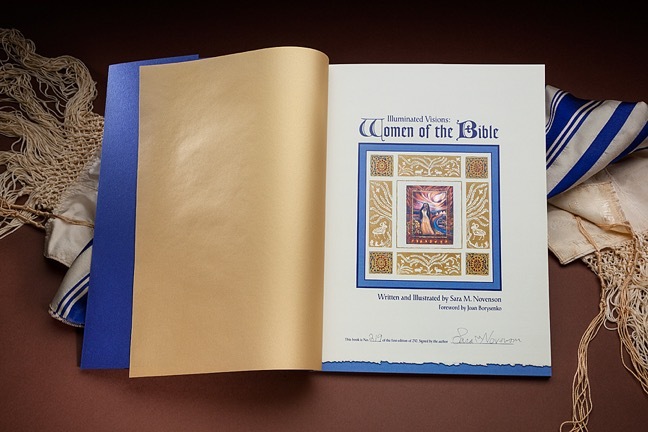 Illuminated Visions, Women of the Bible, Fourth edition, is a very high quality full color 9″ x 12″ 36 page book printed on the finest heavy stock and specialty papers with the focus on brilliance of color. The cover is a semi-soft shimmering, metallic paper embossed and gold stamped. The endpapers are translucent metallic gold. Each book is signed and numbered by the artist. 9 x 12 full color 36 page book. $115.00 includes shipping and tax. 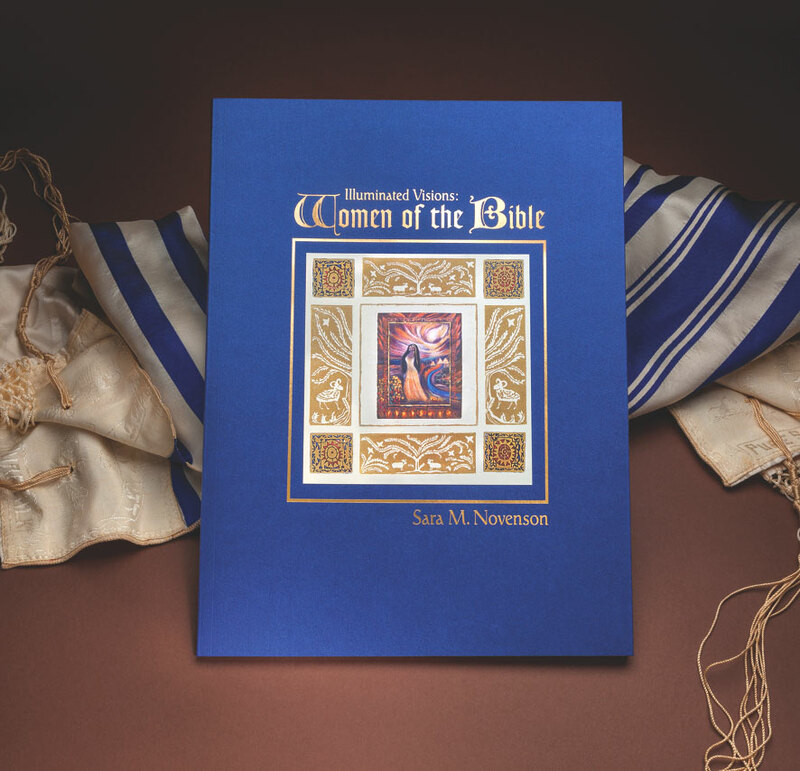 Through these images and stories, the women of the Bible defy the boundaries of time, transmit their blessings and wisdom, and most importantly, guide us and strengthen us in our contemporary lives. 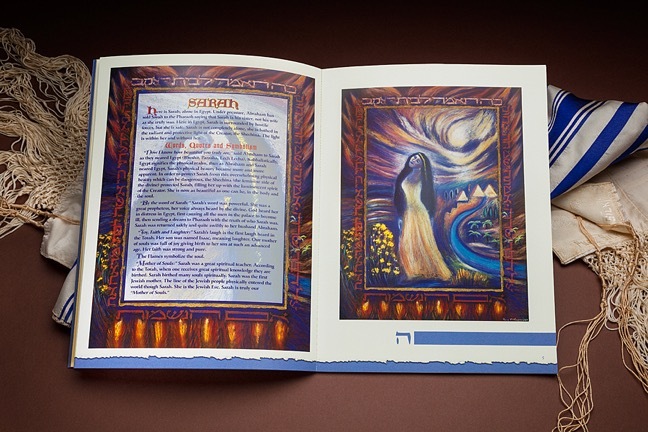 This set is a culmination of ten years of painting and studying the Women of the Bible.